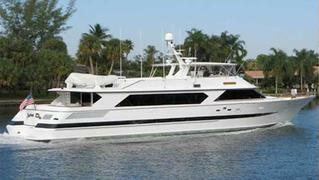 Sean Doyle at Yachtzoo has been appointed the central agent for the sale of the 30.8m motor yacht Astra Dee. She was built by Denison Marine in 1991 with naval architecture by Joe Langlois and in interior by Paola D Smith. She can accommodate 5 guests in 3 cabins and is equipped with a handicapped lift from the main deck to the lower deck. She has had only one owner and very little engine time, and is on the market at $1.35 million.